Teacher Education Primary or Secondary). We invite students, families and friends to visit the KOM office which is the application centre for KOM’s partner universities in Australia, Ireland & the UK. Appointments are recommended to ensure we can sit and spend time with each client so they fully understand what is entailed to study in Australia, Ireland, or the UK, as well as the international application process. QEW to 403 Hamilton. Travel up the escarpment and exit Lincoln Alexander Parkway. Exit Upper Wentworth. Turn South (right) on Upper Wentworth to Stone Church Road. Turn East (left) on Stonechurch. The KOM office is located in Highridge Plaza at the corner of Redmond Drive and Stone Church. QEW. Take exit 88-89 for Red Hill Valley Parkway. Merge onto Red Hill Valley Parkway S. Continue on the Lincoln M. Alexander Parkway W. Exit Upper Wentworth off the Linc and turn South (left) on Upper Wentworth. Turn East (left) on Stone Church. 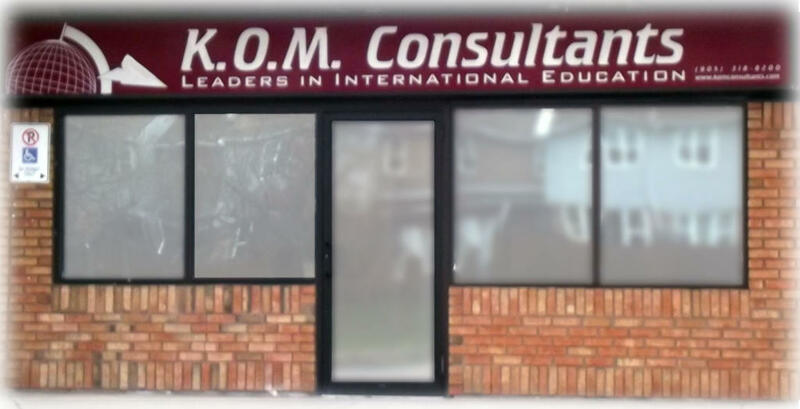 The KOM office is located in Highridge Plaza at the corner of Redmond Drive and Stone Church. 401E to 403E (sign for Hamilton, Niagara, Brantford). Take exit 64 – Lincoln Alexander Parkway. Exit Upper Wentworth. Turn South (right) on Upper Wentworth to Stone Church Road. Turn East (left) on Stone Church. 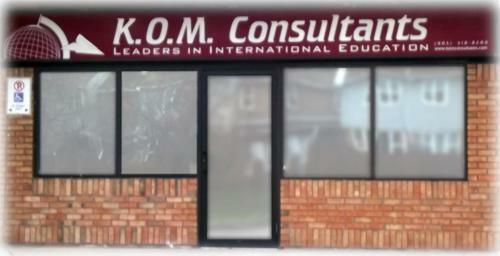 The KOM office is located in Highridge Plaza at the corner of Redmond Drive and Stone Church.